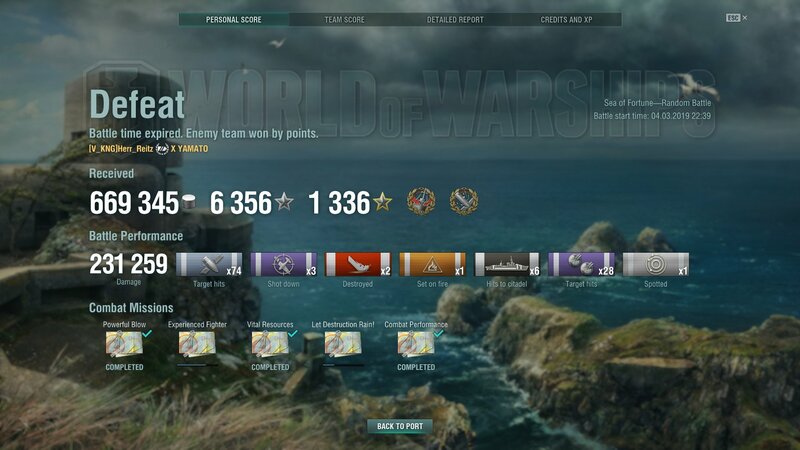 I've been playing CVs over 90% of my time since the rework. Every once-in-a-while I take out some of my old favorites. I got lucky today and found another Yamato player who liked to push. He finished first. I took second - but a nice second in my book. It was one of those matches where I'm so intent on playing the game I hardly glanced at the results of my efforts. We lost. 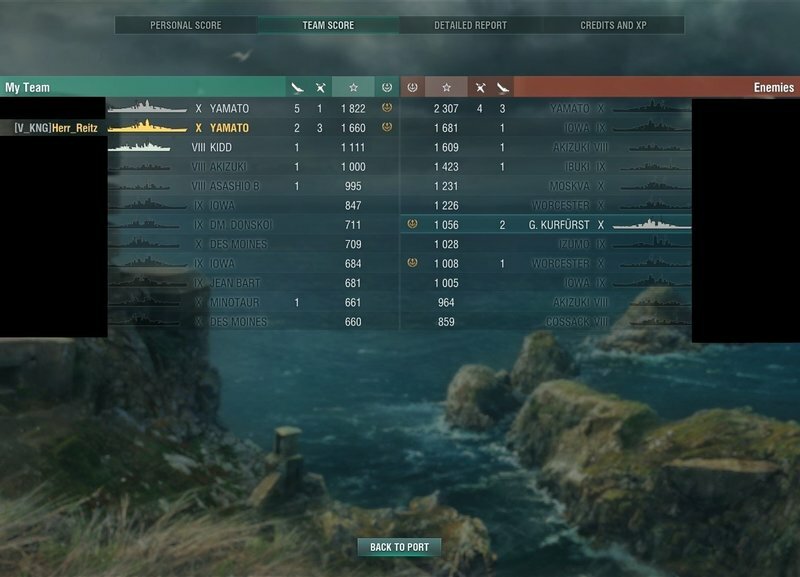 Why we lost, well that's a short story... but essentially we had two dds who capped one cap and simply went no further. A number of other ships clustered around the cap as well. The other Yam and I went towards a couple of cruisers and one BB, Iowa I believe. Between the two of us we managed to pull back from the edge of the cliff but we simply ran out of time. Another 30 seconds we might have won. But it was not to be. It was a great match for the Yammies tho. Now - have you had any good matches since 8.1 was put down? Ehhh i'd like them to make it a normal citadel. It is a bit too easy to hit. She has two weak points - one behind the forward turrets and another is a square panel on her bow.